Back at Samhain, we who walk The Wheel Of The Year first began moving into the Shadow, something I like to refer to as The Sacred Dark. 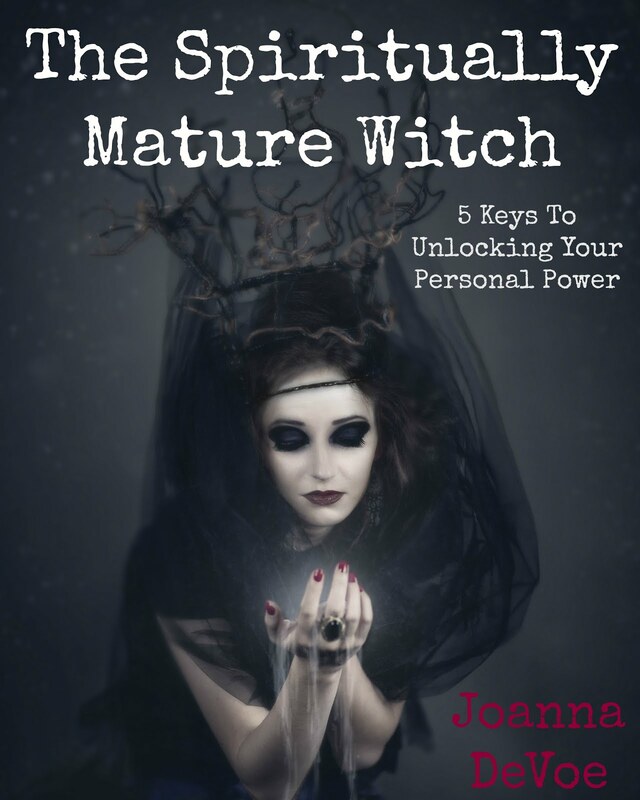 The Sacred Dark is the place where mystery and magick reside, and it's an integral part of the spiral dance in getting to know Who you truly are. The Sacred Dark is a time for letting go and cleansing all that no longer serves as you move forward. It's a time for reflecting on what has passed and for gathering the magickal gems of wisdom you have learned along the way in order to help better embrace what is to come and what you would like to see manifest in the new year. At this point on The Wheel, you may have already chosen your power words, created a vision board, chosen a Tarot card for the new year ahead in addition to finding the right planner to track all your goal setting. Whether you have done any or all of these, I invite you now to also consider creating an altar of intention in order to ground and tie it all together. 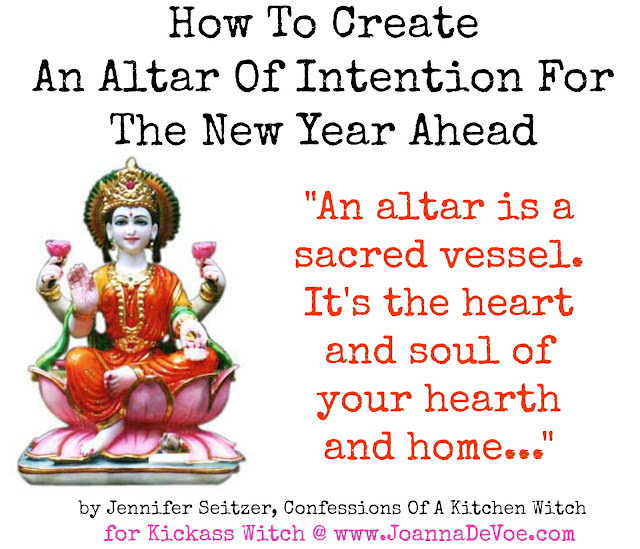 In my FREE ebook, Creating a Kitchen Altar, I describe how an altar is a sacred vessel. It's the heart and soul of your hearth and home. 1. An intentional altar is a physical representation of your goals and desires. It adds a visual element to any power words or core desired feelings you may be working with in the year ahead and gives an energetic voice to your thoughts and feelings. 2. Having an altar is like having your very own world within a world, a place where you can go to whenever you feel depleted or tired and need to ground. It is a sacred place where you can connect to the Divine, a place to offer gratitude, prayers and offerings or to just sit and meditate. 3. 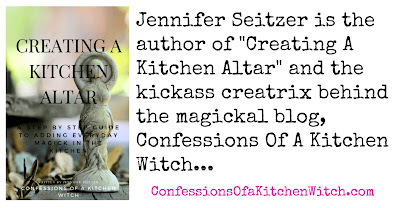 Creating an altar adds beauty to your hearth and home. It lifts the vibrational energy, adds color and scent and brings the natural world indoors. My theme for 2017 comes from three Power Words : Nourish. Receive. Entrepreneur. - Entrepreneur : My focal point might be a Goddess that I resonate with and that I feel connects with this word. To me, Goddess Lakshmi perfectly represents the kind of entrepreneur I intend to be. She also represents the word “receive”, as in receiving abundance, prosperity, money, etc. Adding crystals and stones such as citrine, clear quartz, peridot and jade would make a nice touch here too, as they are wonderful for attracting prosperity. 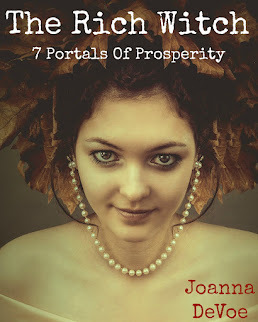 - Nourish : Once I've got my Goddess in place as a focal point for the kind of entrepreneur I intend to be, it's time to add elements that reflect how I will in turn nourish myself in the year ahead. I could do that by adding a bowl of epsom or mineral salts to affirm the importance of scheduling “me” time. 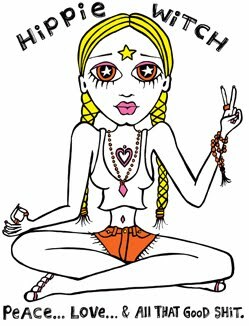 This would also include my pink Rhodochrosite mala beads as a prompt to sit, reflect and connect to my Higher Self, the Goddess, my own heart. - Receive : To express this word in a physical way I might place a picture of myself near my focal point- the Goddess. Placing my picture next to the Goddess represents my willingness to receive the Goddess’ love, the love of my family, friends, children and husband unconditionally. In order to receive I must also give, so scattered throughout my altar would be various coins from my piggy bank, as well as a written check to my favorite charitable cause. As I grow in my entrepreneurship, nourish my body, mind and soul and open my hand and heart to receive all the blessings and lessons that are given to me, I can then better serve others and give more to what matters most to me. I am able to fill my cup to overflowing. Set up an altar that will move and flow with you as you move and flow. 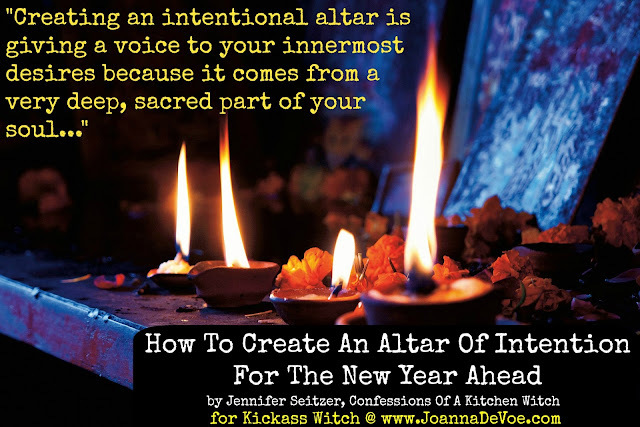 Creating an intentional altar is giving a voice to your innermost desires because it comes from a very deep, sacred part of your soul.